Participants at the NEMA Archives. 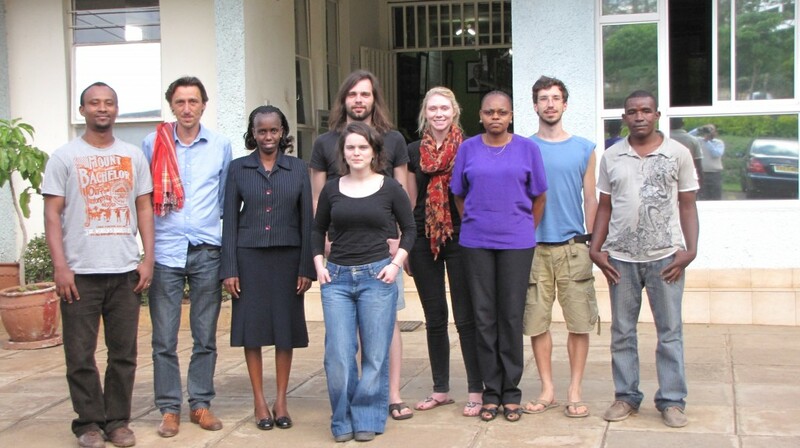 From March 24 to 25, 2014, Dr. David Anderson and Dr. Benoit Hazard led a workshop on accessing and critically analysing archival sources and historical research methods at the British Institute in Eastern Africa and the Kenya National Archives. The workshop introduced archival sources and historical research methods to scholars with limited experience in historical research. The workshop provided an introduction to historical research methods. Using local archives in eastern Africa as the main examples, a review of how the archives are organised, the logic of search facilities, and the principle methods of document identification were explored. Systems of cataloguing and retaining personal sets of documents from archives will be described, as will citation methods. A detailed introduction to the Kenya National Archives was followed by a research visit to the KNA, where participants undertook specific and practical research assignments related to their own doctoral research projects.